We are now at the tail end of our time in Australia, but I feel like we are ending it with a bang. 8 days in the Darwin area, which includes Fogg Dam, Kakadu National Park, Cooroboree, Yellow Water, and at least a dozen other non-planned stops would provide all the excitement I could handle. We start our first day with a visit to Fogg Dam, a project that was to have been a rice growing area, turned into an amazing waterfowl reserve. I guess it would be prudent to point out, that this part of the country is just coming out of what is referred to as “The Wet” where huge tracks of land are covered by water, sometimes as much as 3 meters high. Those huge rains are over, but the roads are still recovering, and our visit to Fogg Dam, was very much effected by this. We were limited to a very short drive area, most of the tracks (Trails) were closed, and there was to be no walking on the dam. The signs were quite clear, there are crocodiles near the dam, no foot traffic. 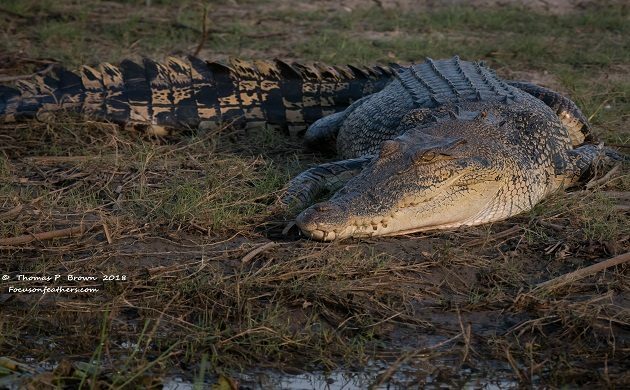 Crocodiles, smockodiles, how bad could it be? 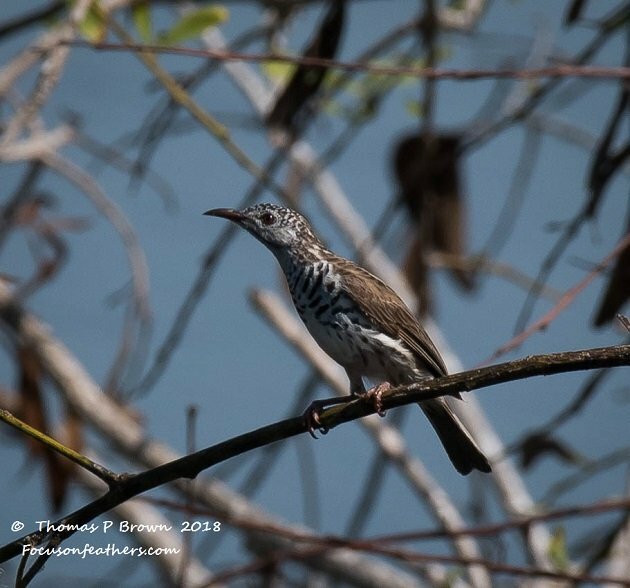 Well, it took about ten minutes to find out, as I was sitting in the RV, right at water’s edge, photographing a lovely pair of Rufus-banded Honeyeaters, when a small, 2-meter-long Crocodile came rushing up out of the water, right at my door! I got my photos, and as long as it did not eat my tire, I figured I was ok. 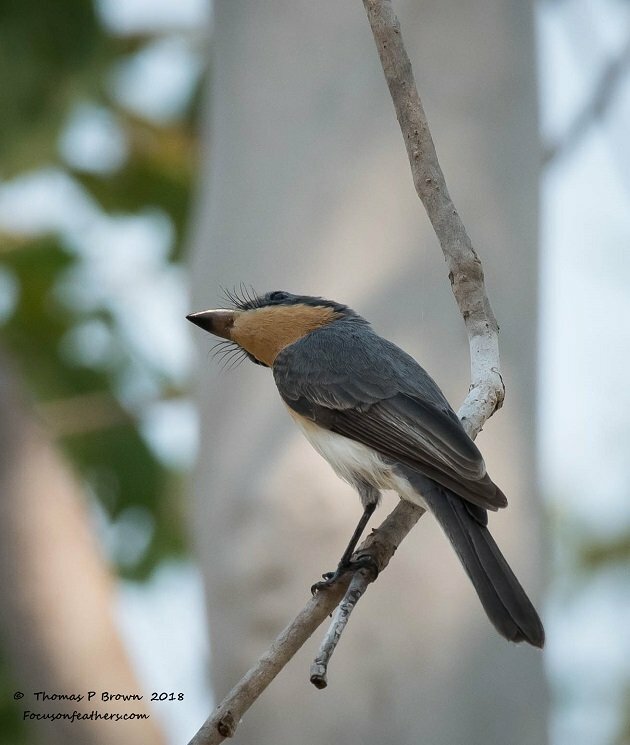 The dam provided me with several new birds, including Green Pygmy-geese, Bar-breasted Honeyeaters, Wandering Whistling Ducks, Intermediate Herons, Pied Herons, Comb-crested Jacanas, Forest Kingfishers, Black-faced Cuckoo-shrike, and the afore mentioned Rufus-banded Honeyeater. 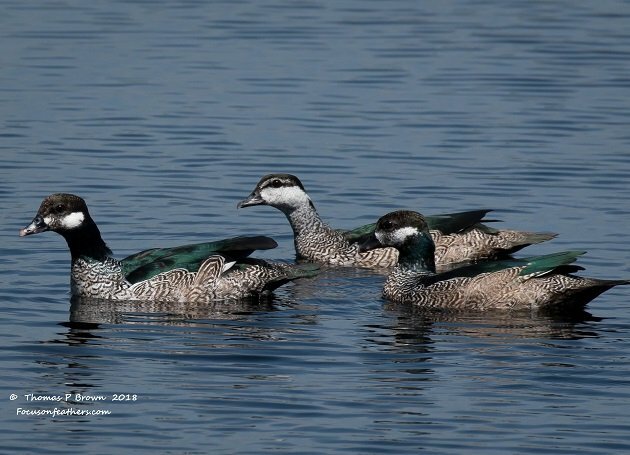 Here are some of the Green Pygmy Geese. One of an incredible number of honeyeaters, this is the Bar-breasted Honeyeater. We then moved on to the RV Park at Cooroboree, near the Mary’s River Billabong. We were given a tip about this place by Brian, from the Britz-Maui RV rental place, that this was the place to get out on the water for birds. The price was right, so we booked a couple of seats on the boat for the sunset cruise that very night. The trip had a total of 6 people on board, and it was full-on incredible. The guide Tony was very professional, knew the area, the plants, reptiles, and without a doubt, the birds. It was so good, we re-booked with him for a sunrise cruise the very next day. 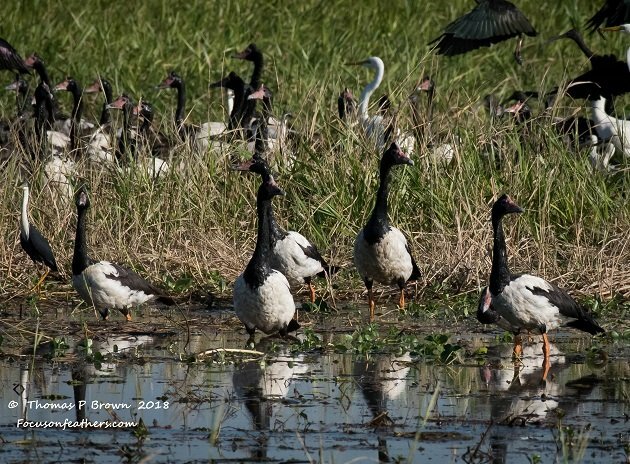 The combination of the two days got me Plumed Whistling Ducks, Lemon-bellied Flycatcher, Broad-billed Flycatcher, Rufus-throated Honeyeater, Magpie Geese, Red-winged Parrots, and my two favorites of the area, the White Sea Eagle, and the Black-necked Stork, previously known here as the Jabiru. 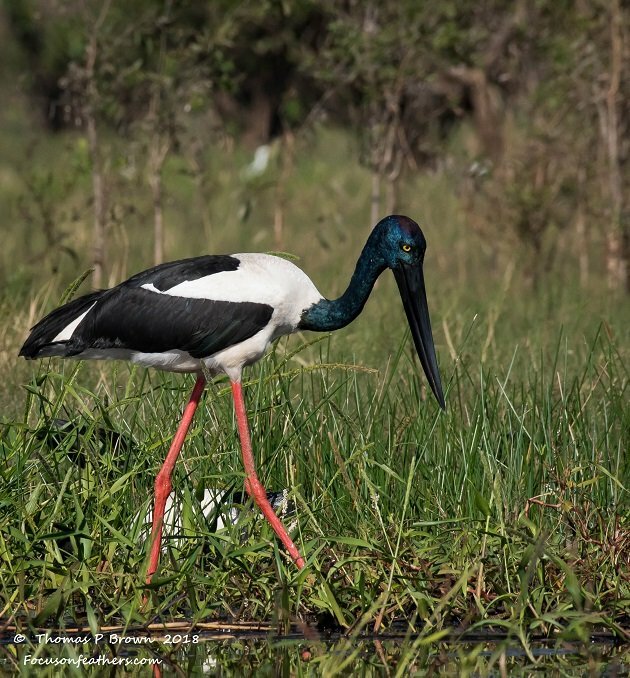 Here is a nice shot of that Black-necked Stork. 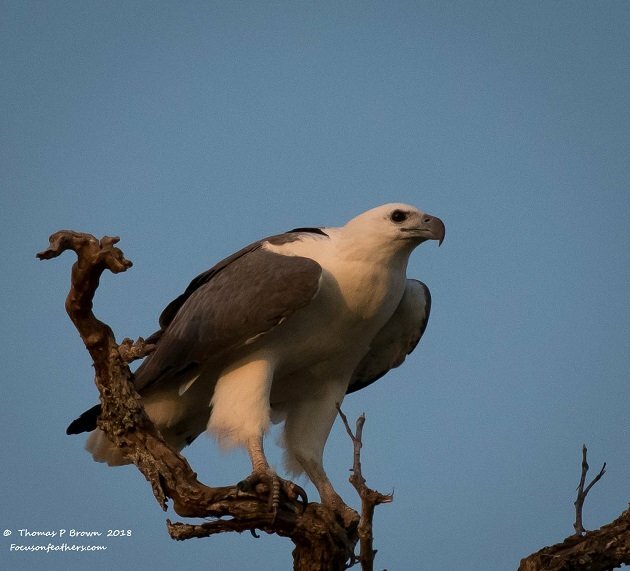 And this is the White Sea Eagle. I cut this out of a huge group of birds, in order to show the Magpie Geese. After our morning cruise, we headed towards the renowned Kakadu Park. Along the way, we made what turn from a short, “look see” stop, into one of my favorites of the area, the Mamukala Wetland. This area has a very well established, beautiful viewing platform, over a huge wetland area, but this was not the attraction that I became so enamored with. It was the short, 1 kilometer loop thru the grass lands adjacent to the marsh that got me a great set of birds. 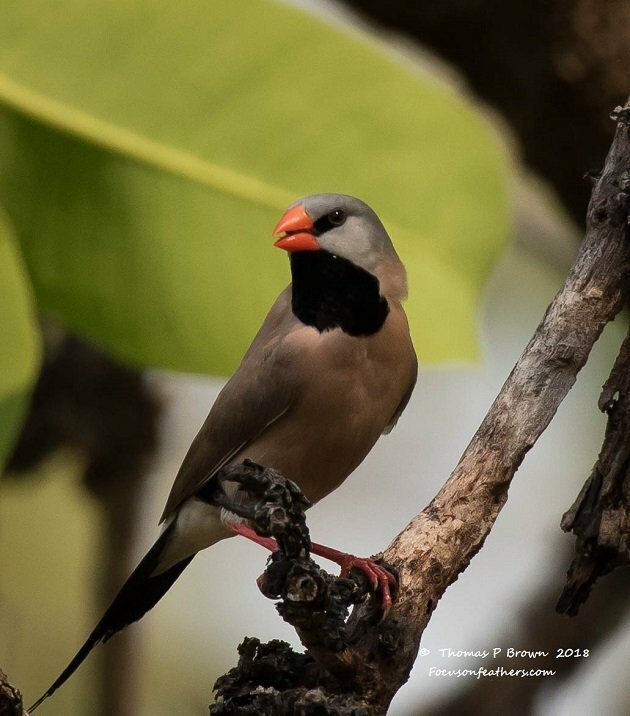 Long-tailed Finches, Crimson Finches, Masked Finches, Northern Fantail, White-throated Honeyeater, White-gaped Honeyeater, white-winged Triller, and the beautiful Red-backed Fairy Wren were all found with in 200 meters! 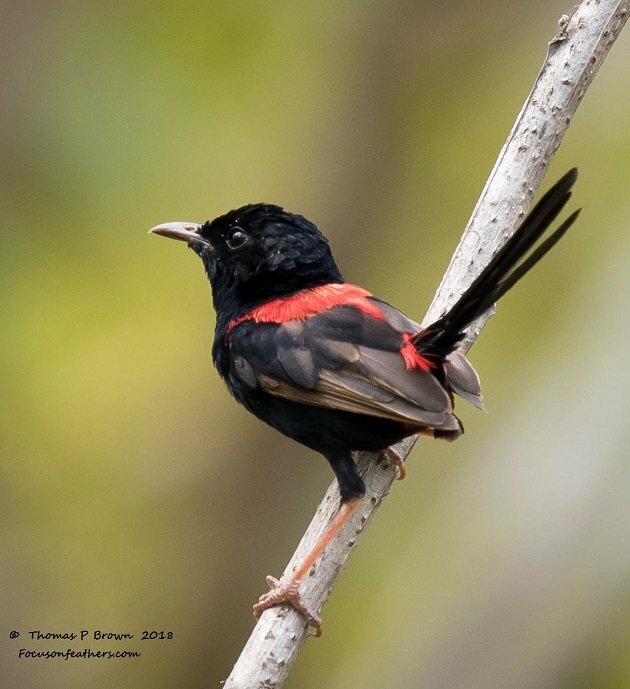 Here is that lovely Red-backed Fairy Wren. Look at the legs on that bird! 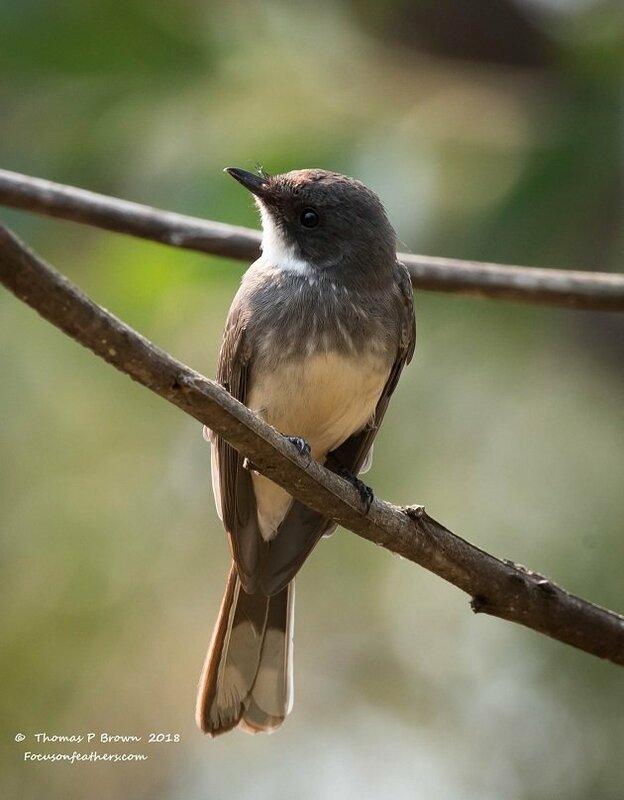 This is not the typical pose I look for in an ideal photo, but given the name of this bird, the Broad-billed Flycatcher, it just seemed appropriate. The next major stop came at the Cooinda RV park, and our much awaited trip on the Yellow Water Billabong. Every person I spoke to who heard that we were going to Darwin, told us that we HAVE to go on the Yellow Water Cruise. What could we do, we booked a trip. Now, don’t get me wrong, the two hours on the water was very enjoyable, we saw a good number of birds, all, with the exception of one, we had already seen. The price was double the first two trips, but they did throw in a very good breakfast. The major down side for me, is that we were on a boat with 31 other people all trying to see what every popped up around the next corner. Fortunately for me, for the most part, all they really wanted to see were the Crocodiles, so when everyone was off on one side of the boat looking at them, I was on the other side, happily shooting pictures of the birds. The best way I can describe Yellow River, in contrast to the Cooroboree is that it is just bigger. Where on the Cooroboree, I saw 12 Magpie-geese, on the Yellow Water, I saw 40. This held true of most species. Then one new bird I managed to find was the Great-billed Heron. Before we take off toward the Perth area, here are a few more fun images from the Darwin area. The morning before I took this shot, Jeanne asked me if any of the birds ate dragonflies. 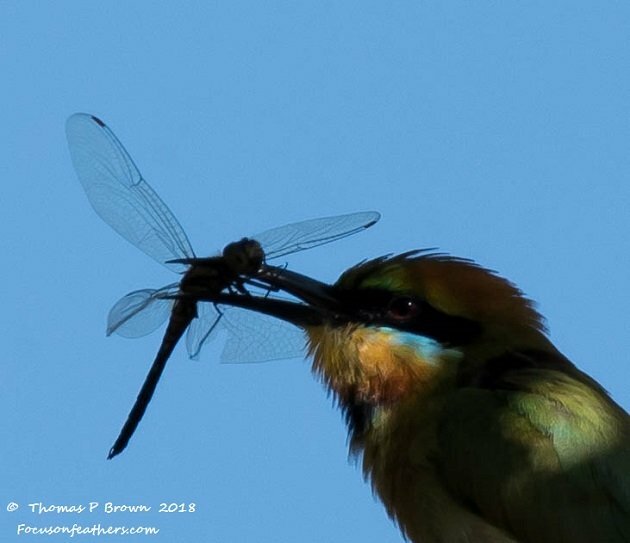 I got her answer a few hours later with this Rainbow Bee Eater. 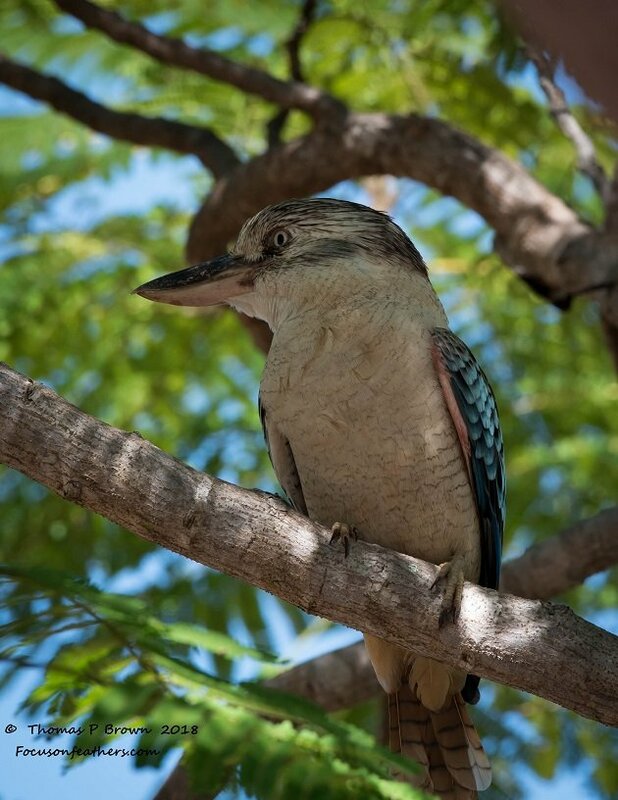 I previously posted the Laughing Kookaburra, well here is the Blue-winged Kookaburra. 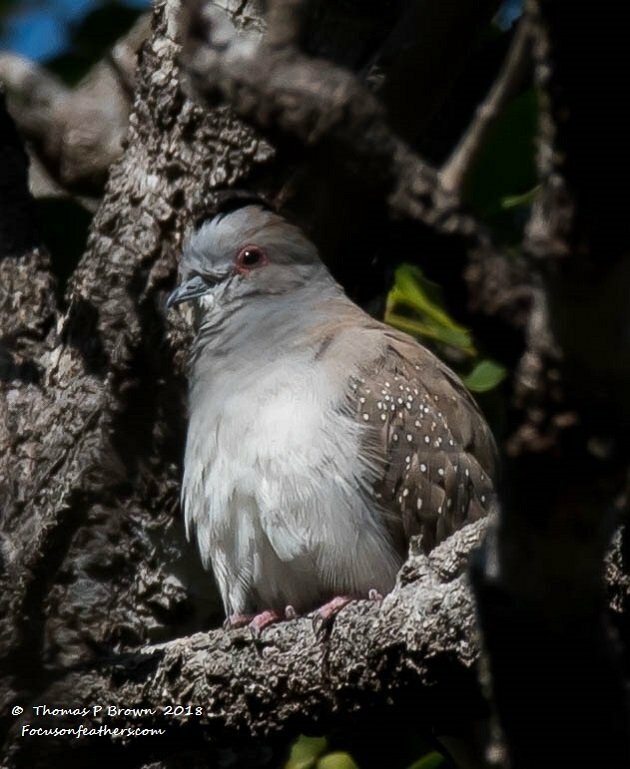 This tiny little dove is the Diamond Dove, called so, because of those great little white dots on its wings. 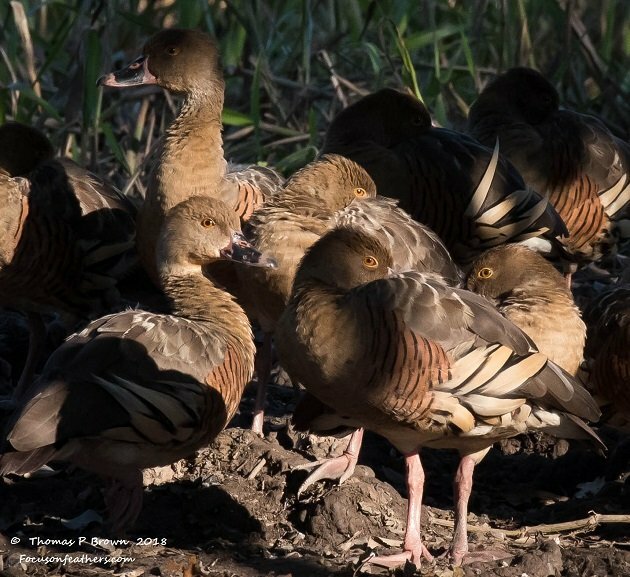 These Plumed Whistling Ducks were wary of our approach, but not enough to really move. 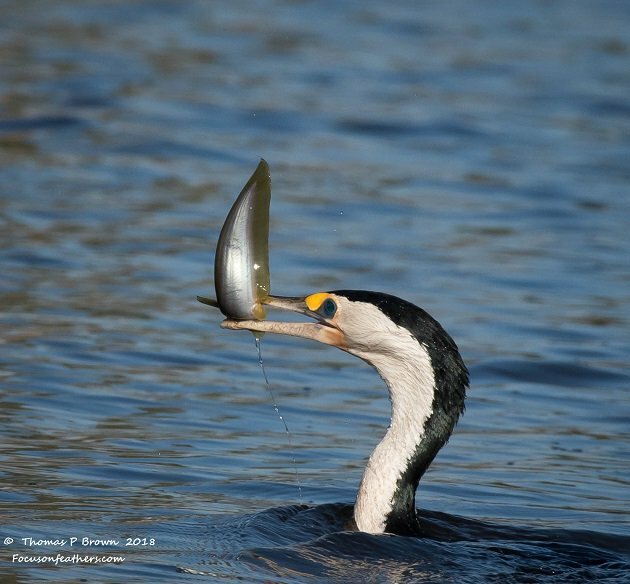 Our first morning on the Billabong at Cooroboree, I got to watch this Pied Cormorant fish for a form of catfish, quite successfully, I might say. 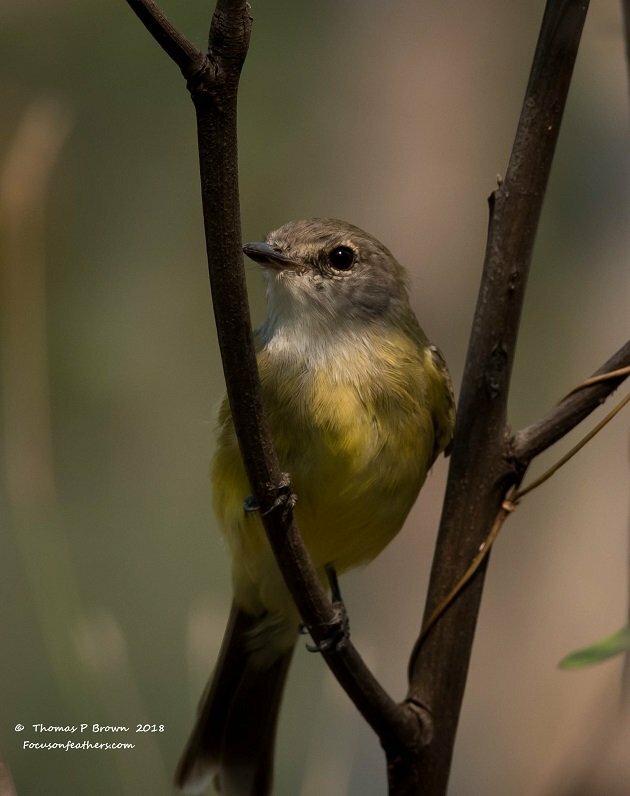 This is the Lemon-bellied Flycatcher. Wow! You two are really doing it. Good deal! You deserve it! Great pictures . . . as always!